As highlighted by a recent documentary, regenerative agriculture could help to mitigate the catastrophic effects of our declining pollinator population. A solution will take activism from us all. When a farmer started planting pesticide-treated corn seed near Minnesota beekeeper James Cook’s hives, it only took a slight breeze to carry a deadly dust across the field. Within minutes, Cook and his wife noticed their bees were exhibiting signs of being poisoned: lying on their backs, twitching, seizing. Over the course of a few months, 70% of the hives in their operation had died. In the 2017 documentary film “Keep the Hives Alive!”, Cook explains how this loss pushed him to become an activist in the ongoing fight to protect pollinators. In the spring of 2016, Cook took it upon himself to drive 2.5 million dead bees across the U.S. to Washington, D.C. with the purpose of educating people about the catastrophic results of declining pollinator populations and encouraging us to do something about it. “Keep the Hives Alive!” follows Cook’s journey and explains the crisis our pollinators are facing. The basic premise of the film is simple: bees are dying at alarming rates and without them our food system will collapse. The primary cause of major bee kills is the use of pesticides and insecticides, according to the Center for Food Safety. In theory, these chemical inputs only kill harmful plants and insects, but that is not the reality. Since the 1990s, a certain group of pesticides called neonicotinoids has been linked in several scientific studies to the massive collapse of bee populations and other beneficial insects that we rely on to pollinate crops. The EPA is in charge of regulating such chemicals, and pressure from the chemical industry has made the agency slow to respond to this crisis. While the European Union and other countries have restricted the use of neonicotinoids to protect their environment, in the U.S. it has fallen to beekeepers, citizens, municipalities, and various organizations to demand changes in policy and regulations. Thanks to their efforts, courts all over the country are stepping up to put the health of our ecosystems first where the EPA has failed to do so at a federal level. The “Keep the Hives Alive!” film highlights the ways that chemical pesticides have been negatively impacting pollinators for years, and yet no concrete action has been taken. Agroecologist and former USDA scientist Jonathan Lundgren of Blue Dasher Farm believes pesticides are not the only contributor to the issue. 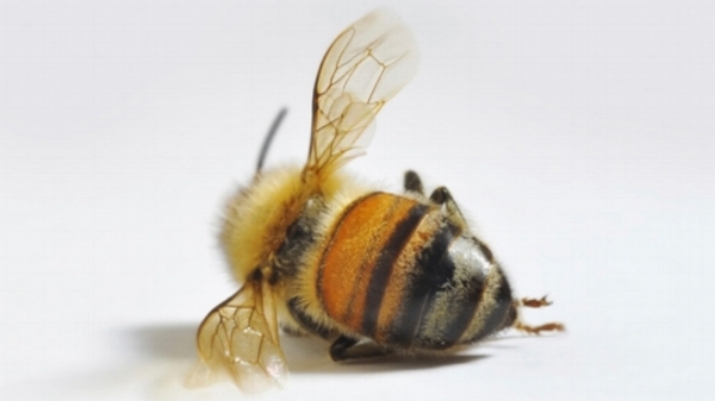 “We can associate pesticide use with declines of bees, but the pesticide is a symptom,” Lundgren said. “The problem is not enough diversity... and too much disturbance in the landscape.” Habitat loss, increased pathogens and parasites, and poor nutrition are all results of too much tillage and monoculture operations. There is a solution to this problem. During his cross-country roadtrip, Cook talks with a number of farmers about how regenerative practices are helping reverse the detrimental effects of monoculture farming and restore healthy ecosystems that benefit people, plants, animals, and soils. Individuals and municipalities can also make important strides toward reducing their reliance on pesticides, and have. Montevideo, Minnesota is one such town where Cook stopped during his tour. Resident Patricia Hauser, noticed there was no organization or resource for people wanting to take action to protect bees in the area. So she founded Humming for Bees and inspired neighbors to create bee safe yards. Eventually, the town established itself as a bee safe city, and other cities have followed suit. Although “Keep the Hives Alive!” outlines many intertwined challenges that exist in protecting pollinators, it also highlights achievable successes and ways every one of us can contribute to the solution. We know what we need to do. Now we just need to do it. Incorporate native plant species into your garden or landscaping to attract both honey bees and other native bee species. Learn about beekeeping and start your own hive. Host a screening of “Keep the Hives Alive!” – the Center for Food Safety has made it easy with this screening guide. Share what you learn with family and friends. Let your lawmakers know that you value pollinators.